The judges were struck with the wide range of projects. The variety, in which these works operate, from autonomous – almost like works of art - to very specific social relevance, meant the judges faced a daunting task. The thing that all the candidates have in common is the curiosity and need for collaboration. Each designer recognizes that the collaboration with an expert makes their projects better but also increases their own knowledge. This year the jury found it very hard to award the right nominees. After extensive deliberations and some interesting discussions the judges have come to a unanimous decision. The official award ceremony has taken place during the opening of the Graduation Show on Saturday 17 October 2015. During her internship as a print designer at Vlisco, Simone got fascinated with the enormous amount of yards of fabric which were being destroyed every year. Fabrics, with little miss prints, which couldn’t meet Vlisco’s high quality standards. The jury was impressed by Simone’s clear and process driven approach; designing a set of criteria the new materials or products should fit in. 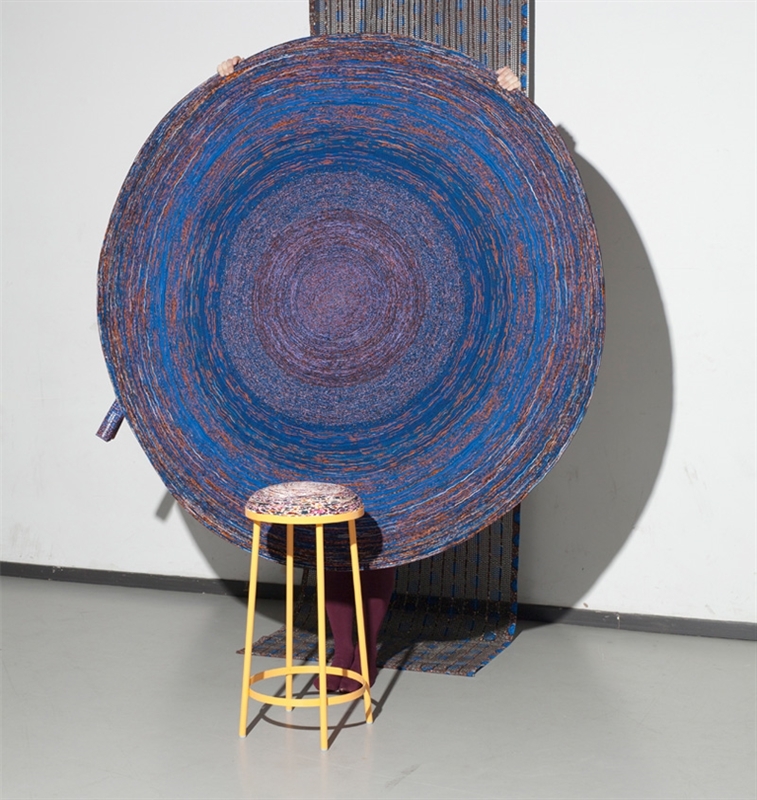 Her enormous amount of textile experiments resulted in a beautiful range of new interior products. All executed with interesting production techniques, like the laser cut room dividers, products addressing a totally new market for Vlisco and fitting their brand values of story- telling, uniqueness and tradition. Simone not only showed her skills as a designer, but also her awareness of the added value of her design thinking to the whole value chain; from idea to production to market. The jury hopes that this project with Vlisco will be the start of a career where Simone can help companies to be truly sustainable. With this project, Simone is winning the René Smeets Award for most professional project in approach and method. In addition to a cup designed by Olivier van Herpt, Simone is receiving € 2,000 and two days of consulting at the Chamber of Commerce. 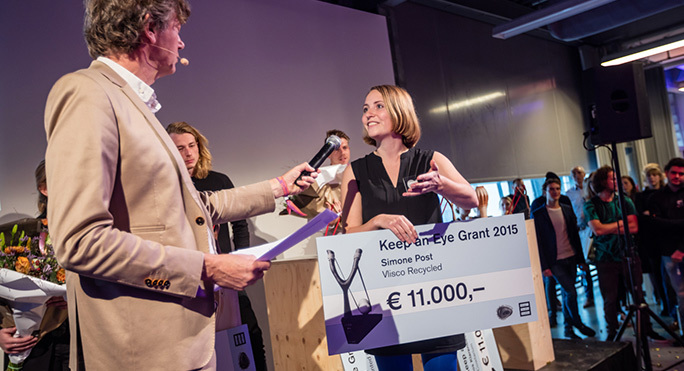 She also receives a €11,000-grant from the Keep an Eye Foundation.